First, it sounds rad. These whales ARE killer, man! Second, it’s pretty out of the norm for a species* to be referred to by the second part of its two-part name (Orcinus orca, in this case- the first half is genus and the second half is the species designator). You’d never talk about “sapiens” and expect people to understand you meant “humans;” if you referred to “musculus” and expected me to know what animal you were talking about, I’d have to guess if you meant a blue whale (Balaenoptera musculus), or a house mouse (Mus musculus). Third, and most importantly, I follow the opinion of scientists that I respect greatly in thinking that there’s no way that all of the different types of killer whales across the globe (oh yeah, they’re everywhere, in every ocean, doing their killer thing) are still one species. Just in the Antarctic, there are at least five types of distinguishable killer whales, each of which has a population separate from the others, probably with their own social structure, language, and feeding habits (further study needed). In the Pacific Northwest, where I did a week or two of research with Holly Fearnbach and John Durban (NOAA scientists and generally awesome human beings), three types of killer whales co-habitate but never interact, studiously avoiding contact while passing each other in a narrow strait, consuming different food sources, speaking different languages… Maybe it hasn’t been long enough in evolutionary time (hundreds of thousands of years) for them to have genetically diverged enough to make reproduction between groups impossible, but unless they’re forced (in captivity, for example…), different types of killer whales will never interbreed. In some cases, they’d have to cross continents to do so. 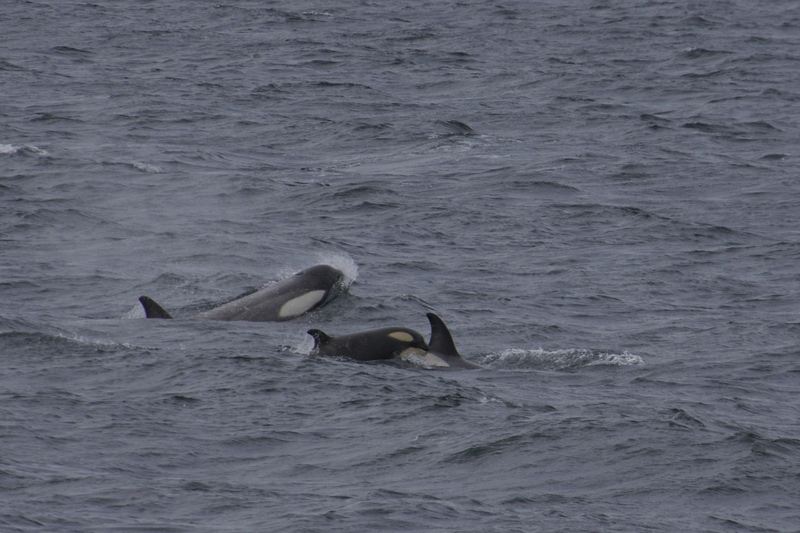 Anyways, these are the “small Type Bs,” also known as “Gerlache Strait killer whales.” They feed (probably) on deep-dwelling toothfish and other large predatory fish in the Antarctic, and are significantly smaller than the “large Type Bs,” which feed on seals. You can see in the photo their yellowish tinge- type Bs and Cs both have diatom (algae) coatings on their skin, which they travel north to shed- and the “cape” of grey around their backs. They can be distinguished from the large Bs by size, and from the Cs by the orientation and shape of their eye patches, and overall can be identified by their presence in their namesake, the Gerlache Strait. Aren’t they beautiful? So the new official species name Sousa sahulensis has supplied me with sibilant alliterative opportunities, but has also changed the nature of the research we’re doing here on the North West Cape. 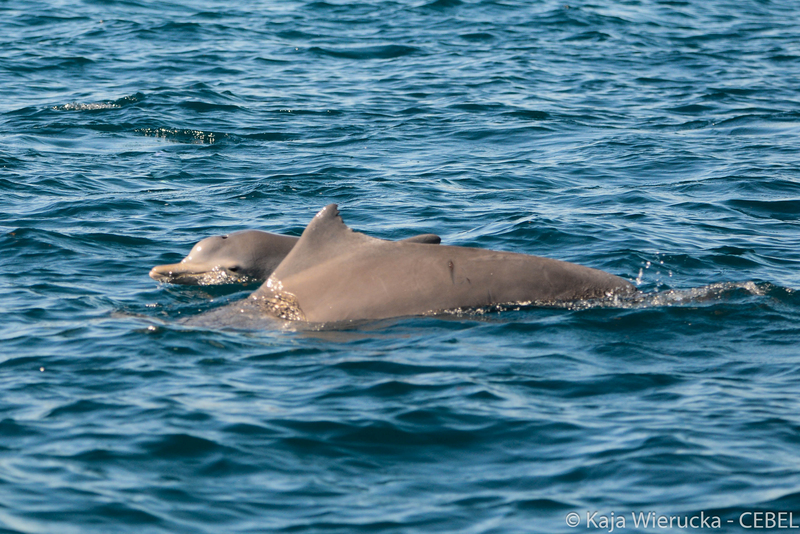 There has been some research done on Indo-Pacific humpback dolphins, but the humpback dolphins that live their lives around the continent of Australia (and maybe Papua New Guinea?) may have less in common with their relatives than we had previously thought. According to Science News (shame on me for not reading the actual paper yet…), skull morphology and DNA sequencing were used to determine the separation of S. sahulensis from their northern cousins, S. chinensis. Our dolphins cannot cross Wallace’s Line, a deep ocean barrier separating Australia from the rest of the world and, incidentally, explaining in part why Australia and its waters contain so many endemic (local only) species- as the Line formed, these coastal dolphins could no longer cross between the home waters of S. chinensis and the Australian continental shelf. Those on the southern side of the barrier evolved through genetic drift and natural selection such that they are significantly different from the northern side, and have now been recognized as their own unique group. But why does that matter? Okay, the real reason why it matters is that, having proven significantly different from their relatives Up Above, S. sahulensis is now virtually unknown. We can’t assume they behave the same, use space in the same way, or require the same resources or protection as S. chinensis, nor can we rely on the larger population size of both species combined to buffer any human-caused losses or stresses. As oil, gas, and mining operations descend upon Australia’s coastal waters, coral reefs begin to feel the impacts of global climate change, and fishing and ocean recreation continue to increase, we need as much knowledge as we can get about these animals. Their impact on coral reefs and surrounding ecosystems could be a key part of healthy seas around Australia, and we don’t even have a good population estimate, nor any indication of whether the population is growing, shrinking, or neither. Tim’s working hard to break open the wealth of information that the North West Cape dolphins have to offer, but they’re elusive and research requires a lot of time and patience. Much has been written about the importance of coral reefs for economic and environmental reasons, and much has been written about wildlife in general having inherent importance to humanity. I support all those reasons, and can give you pages and pages of arguments on why it’s important to maintain diverse and stable ecosystems of all types. However, I also think simply that we humans, as a species (yes, one global and multiplying species), ought to tread lightly on the world. Yes, it’s important to understand and preserve the world around us because without diversity we and our world will be more easily overcome by change, because reefs and mangroves and wetlands provide storm shelter and water filtration to human habitations, because icy tundras and redwood forests and tigers and whales and tiny colorful fishes inspire us and make us wonder. But that all presupposes that it’s our right to choose to destroy or save those wonderful things. We approach the world assuming that we can manipulate it at will, but we are just students of systems much larger and more complex than the ones we have created. 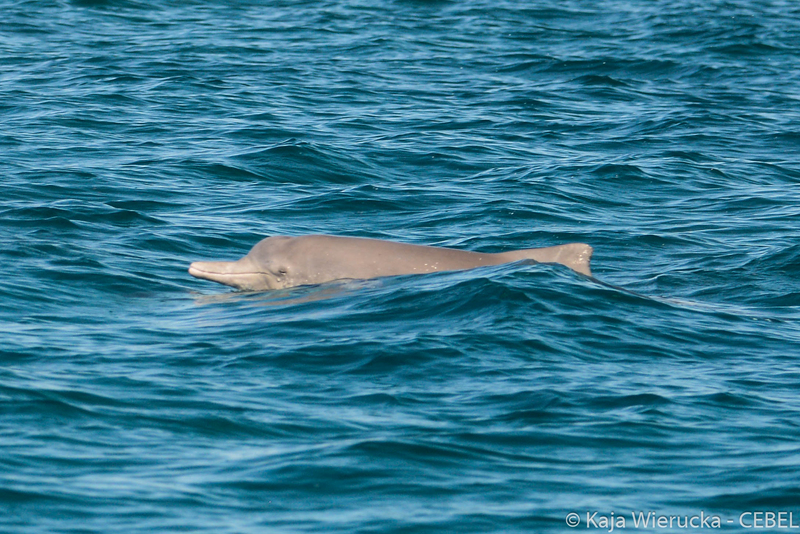 As I’ve mentioned before, our focal animal, Sousa sahulensis or the Australian humpback dolphin, has only recently entered the official rolls of described species. In a recent report, scientists named this newly-identified species and thus spake Science- a species was born. Does that sound sort of arbitrary to you? Good, it probably ought to. I love species names. I love using those distinct descriptions to identify the organism I’m looking at, and I love the way the fake-Latin words (so science! Very officialness) feel in my mouth. There’s a pleasing elegance to the system through which you can categorize groups of related species, like nested folders or bags-within-bags (kingdom, phylum, class, order, family, genus, species, subspecies). But do I trust species boundaries as absolutes? No, I do not. A “species” can be defined quite a few different ways, is part of the problem. For example, the biological definition states that for a species to be valid, the population that makes it up must not be able (for reasons of geography, genetic change, or physical incompatibility, among other potential reasons) to produce viable, or fertile, offspring with the group from which it is being separated. Several issues arise with this definition. First, we consider many animals to be part of one species despite the fact that they’re almost certainly never going to meet and exchange genetic material without the aid of humans. For example, northern and southern hemisphere killer whales in all oceans are still listed officially as Orcinus orca, which is absurd. They can reproduce in captivity, probably, but even groups of killer whales (for example, Southern Residents and the area’s Transients) that live in the exact same bays and straits avoid each other completely in the wild, and probably haven’t exchanged genes for tens of thousands of years. I could go on and on about killer whales and species definitions but I will spare you (for now, mwa-ha-ha) and move on to the next problem. Second, some domestic animals like farmed turkeys, certain cows, and many dogs cannot reproduce without human assistance. Are they species? They can’t reproduce at all, in reality, so they don’t pass the “fertile offspring” test unless people intervene quite a bit (artificial insemination, cesarean section, etc.). Some people don’t hold with the biological definition. They prefer to define a species based on the percentage of functional genes that are different between two groups (which varies wildly depending on the age and genetic purity of a presumed species), or physical characteristics that show distance between populations. There isn’t really a definition that captures the flawed system we have (understandably) superimposed on the natural world, and the flawed system doesn’t even capture the nuance that the evolutionary process constantly creates and changes. Meanwhile, what do you do with mushrooms and plants that can self-fertilize, or other less-identifiable organisms like bacteria, constantly passing genes from one individual to another. How about viruses, just tiny packets of DNA and self-replication machines? People think of things in groups that feel natural (haha, biology = natural…) but that’s not very scientific. It is, however, very convenient and intuitive. We group things to make them study-able, understandable, explainable, referable. For the most part, the species definition really does work to distinguish different types of organisms. We just can’t explain exactly why. So anyways, it’s a bit tricky to explain why Sousa sahulensis has been officially designated a new group within that system. In this case, a combination of geographic separation, physical characteristics, and genetic difference added up to the split of the Australian humpback dolphins from Sousa chinensis, the Indo-Pacific humpback dolphin. Tomorrow’s post will explain exactly how our Sousa have earned their species stripes- this is likely enough of a biology-nerd’s rant for today. Stay posted, dearest readers! I’m going to go track down some more cute photos of our resident charismatic megafauna and then turn in- today was long, but wonderful. 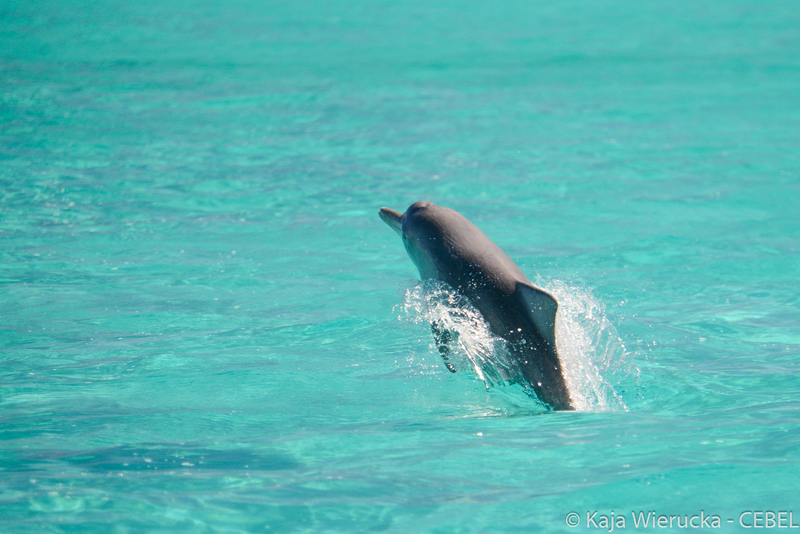 I’ll dream of manta rays and humpback whales and leaping dolphins- I hope you do too.